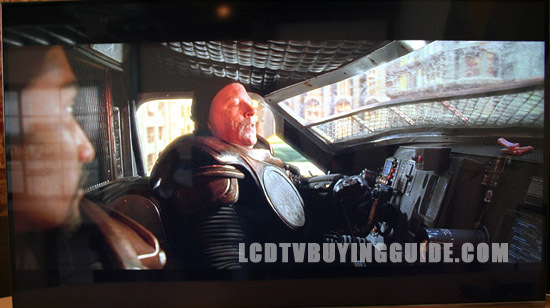 This is the smallest entry in the 7400 line of LG Smart TVs. The 47LA7400 is a direct replacement of the 47LM7600 from last year. This TV will impress those who are looking for a set with robust Smart TV features. The feature set includes voice recognition, wireless sharing, show suggestions, and improved searching functions. All of these work to make the Smart TV experience a lot less clunky like it has been in the past. A dual core processor has been included to run everything so slowness should not be a hindrance to overall performance. Picture quality on the LA7400 is very strong with great dark shadow detail which is not overshadowed by good black performance. 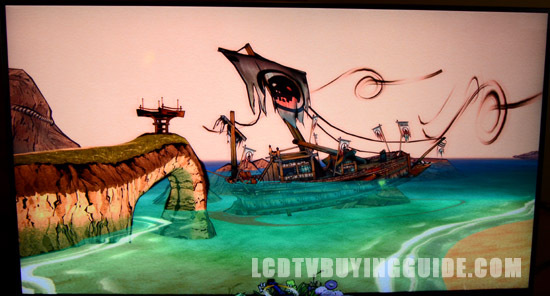 Colors are natural looking and not oversaturated, while picture depth is also very good for the LED edge lit LCD TV. This TV will not win best picture quality awards due to it not having quite enough zip from the backlight to gain superior peak whites or enough black depth to win there, but it's a solid contender with a very good picture. The screen is clear coat with a bit of anti glare matte in it, which also hurts your side angle viewing quality. At 25 degrees off center there is notable contrast loss and this is especially noticeable if you are viewing the TV from above or below eye level. For instance, you would be affected by this loss of color and contrast if you had the TV mounted above a fireplace. LG's Passive 3D is growing on me even more. I think it's about as good if not equivalent to active 3D now. The numbers work better for active (1080p to each eye) but when I view the 3D content I cant really tell the difference and the glasses are cheap, comfortable, and light. Unfortuntely, we couldnt really test the 3D content located through the TVs Smart menu very well due to lack of processor power in the TV. 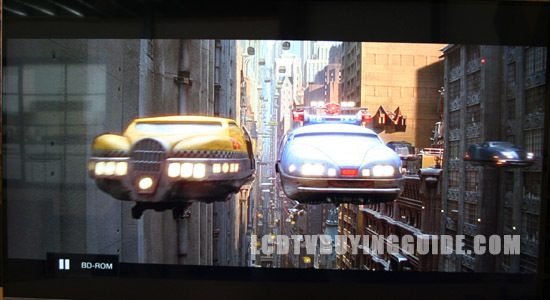 But with BluRay 3D content the TV displayed a great amount of depth, rich colors, and good contrast. Sometimes the conventional remote just doesn’t work like you want it to. Especially when it comes to navigating around any Smart TV platform. LG's Magic Remote is a motion controlled point and click remote that makes navigation a breeze. 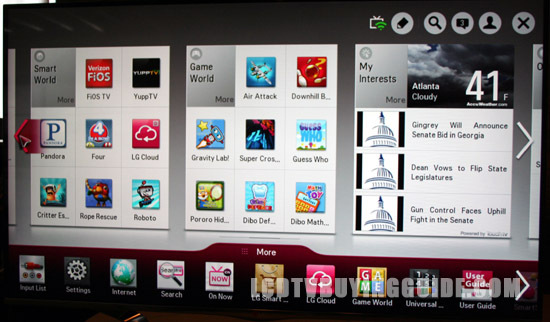 A scroll wheel, gestures, and voice recognition are also means of controlling the TV through this remote. It really shines when used with the Smart TV platform that we have enjoyed in the past. LG has improved upon what that have gotten right in the past. This new version of the Magic Remote has been designed to make interaction with the TV simpler than ever, and a pleasure to use. Magic Remote Control Initial Set up very easy. Shake the remote to get the courser working, the courser arrow pops up immediately if you have a hot signal going into the TV. If not, it's a little sluggish to get it working for instance if you are just accessing the Smart TV options. We have always liked the point and click operation of the Magic remote and still do. It speeds section and browsing. But now this voice control feature has trumped everything before it. It is amazingly accurate. Just press the mic button and speak. 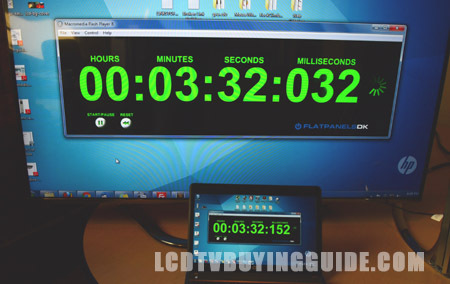 We tested the TV browser (Bing) with our favorite difficult site url, “LCD TV Buying Guide” and the 47LA7400 had no problem, pulling up our site #1. We tested again and the results were the same. I tried, “movies with Gwyneth Paltrow,” (a difficult name) and the 47LA7400 nailed it perfectly bringing up movie App selections, You Tube video clips and more choices for movies with the the actress. The voice recognition technology is fantastic. Drawbacks to the remote are no Input or Aspect ration keys even though there is a quick menu key that accesses the Input icon. 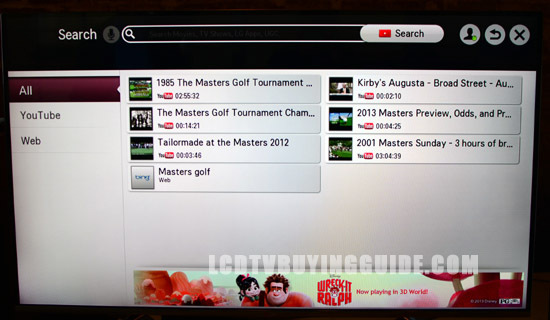 We wished the LG Smart TV processing matched it the excellence of the remote. The LA7400 menu system Straight forward, easy to use and well laid out. One drawback is that you have to click on the Smart TV key on the remote to access the picture settings menu. They are not available through the Quick menu settings. Clear Voice II and Virtual Surround Plus options here add interesting choices, but our choice is the Cinema setting with Clear Voice II setting enabled with the level set at 3. The Standard setting is our second favorite with Clear voice II enabled. Overall we rate the sound quality of this TV as excellent and a high point. It is better than the other manufacturers we've tested as well by a long shot. The speaker in the bottom back of the TV adds most of the overall depth to the TV but we believe it is well worth it to have good sound from the TV. These minimalist TV designs are often used in spaces without home theater systems. 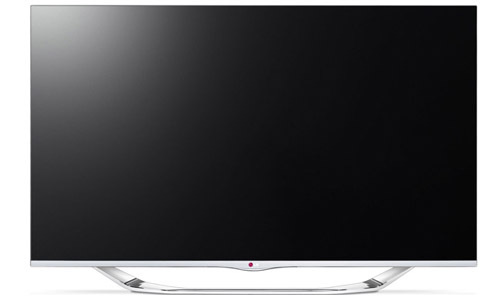 The LG 47LA7400 continues with the Cinema Screen nearly frame-less design with brushed dark silver sides and thin half inch brushed silver across the bottom. Great looking set. What else can you say. The screen is not as black as the Samsung F8000 when turned off but aside from that it's gorgeous. It is deeper this year at almost 3 inches at the bottom to accommodate an excellent speaker. The stand looks good very curvaceous and sharp, brushed silver. Gaming Quality – Not Quite Good Enough! We hooked up a Playstation 3 and loaded Gran Turismo 5 and Okami HD to test of the gaming capabilities of the 47LA7400. This TV may not be the best choice for games. The picture is great, but motion blur or input lag always seemed to be a problem. I recommend using the Game picture mode to get rid of input lag, but motion blur and judder remain a problem. On the flip side, the Standard picture mode with TruMotion set to 'Clear' makes for a smoother image, but input lag hurts the experience. We also tried out 3D with Gran Turismo 5. I don't recommend this either because the quality degraded badly enough to cause jagged image edges. The benefits from TruMotion were lost in 3D too, leaving a good bit of motion blur. In the end, I would look elsewhere for a gaming TV if that is of primary concern. Smart TV options are accessed by one press of the far right button on the Magic remote. One problem we ran across consistently with streaming content was a lack of processing power from the LA7400 with movies or TV but even more noticeably with 3D content (where more processing is required). The signal buffers and sputters constantly. This was not the case last year when I tested 3D world Apps. When we viewed some You Tube videos as a last test the LA7400 buffered for a while when loading, then played it OK. But when we switched the resolution even to just 480p the buffering delay resumed. Premium – Lists premium providers like Netflix, Hulu Plus, Vudu HD movies, You Tube, MLB.tv (major leage baseball app), Cinema Now, Crackly, Skype, Facebook, Twitter, Google Maps, AP, and vTuner, Picasa, Viewster. As one notable change, NBA Game Time is no longer listed in the Apps for this year. Another notable miss is TED. vTuner - is an internet radio provider App which contains among other things BBC Radio 4, 1.fm Chillout Lounge (good flowing ambient music and a favorite), Kassik Radio 98.1 classical Germany. This is a pretty strong free App worthy of a 4 out of 5 rating. 3D World - is the next section which consists of lots of 3D shorts free content (maybe 40 total) and other paid 3D content movies mostly animated costing $5.99 or so. Smart TV wireless reception was spotty and pixelated with 3D content (and really all movies in general), buffering frequently, slowing down, stopping. We then decided to hard-wire the connection through an Ethernet cable to the modem and got a little better results, but not a lot. The LG's TV processor just could not keep up. For this reason we do not recommend 3D content be viewed over the Smart TV network. Kpop Zone: Pretty cool fun little app that has some proprietary 3D concert programming in both English and Korean, but solely Korean artists. Sounds and looks interesting. Again, the speakers are impressively powerful. However, then a quick search quickly gets you into paid for entertainment – usually .99 each. Rating: 3 out of 5. Smart World and Game World - are made up mostly of games. I played a little Air Attack with the point and click Magic remote and it was pretty good. The Magic remote allows for lots of little games. But alas, one must pay for the games $2.99 is a standard price. Under the Education menu I found a decent free App called CNN Student News which has daily news geared toward kids, but really it just looks like the news especially political and Supreme Court oriented. The main difference being that the reporters wear casual clothing rather than suit and tie. This is about the only useful App in the “Education” section. Rating 3 out of 5. My Interests - section hones in on your local locale to give you the weather from Accu weather. You can just leave your favorite subject input and this section will post 3 of the latest articles from the Internet on whichever subject you choose as your favorite. On Now - section gives mostly TV show selections which cost $1.99 per episode. LG is really focusing on the ability to share content though multiple devices and making it as easy as it can be. The LG 47LA7400 incorporates Near Field Communication (NFC), Widi, and Miracast technologies as part of the enhanced Smart Share feature. This is used to connect smartphones, laptops, and other devices to the TV wirelessly. 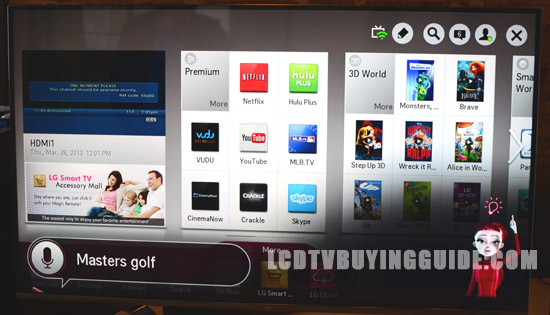 LG calls the NFC feature “Tag On.” All you have to do to use this feature is hold a NFC device near the Tag On sticker on the TV. That's it. Now you have whatever video was on your smartphone playing on the big screen. The other two are fairly new features for many devices and some may not know what they are. Widi, developed by Intel, allows a portable device to send the TV video content up to 1080p and 5.1 sound without any sort of wired connection. While, Miracast lets users screen cast what is on their display and share it with another display. 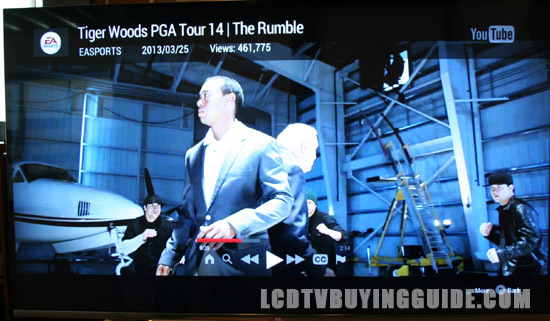 These are great features to see on LG's sets and could be fun to use in a lot of situations. The LG 47LA7400 promises to be a pretty good seller for LG with the excellent Magic Remote, 3D, and faster 240Hz processing speed, and superior sound quality. 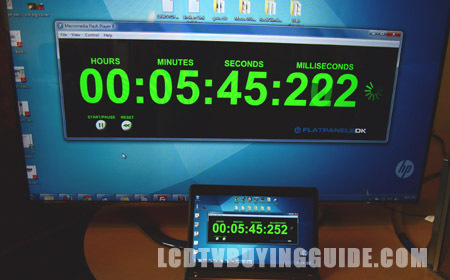 Competition is from the Samsung UN46F7500 and UN46F7100, as well as many plasma TVs such as the Panasonic TC-P55VT60. Overall the TV has lots to offer though as of this writing may not be the best value on the market at around $1799.